TBirdie Consulting specializes in the use of geospatial information technologies (GIS) to optimize data for applications in the environmental, engineering, and energy industries. We create custom GIS applications to meet specific needs of users which greatly increase productivity by minimizing repetitive tasks and automating execution of complex tasks. We achieve this through our expertise in ArcObjects programming. ArcObjects is the technologic framework on which ArcGIS is built. It consists of a collection of software components with GIS functionality and programmable interfaces. 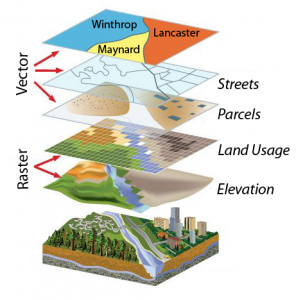 These geospatial apps integrate backend infrastructure technologies, content management, and modern visualization techniques resulting in a relevant presentation of large and complex data without overwhelming the user and assisting in decision-making. Our team is also experienced in developing GIS solutions for regulatory compliance related to federal air emissions, hazardous waste disposal, and groundwater management.